LeMaker Guitar is a cost-effective SBC, which was developed by the LeMaker team. The aim of LeMaker Guitar is to include with the first choice when it comes to SBCs. He has a very powerful CPU SoC S500. 4 * ARM® Cortex ™ -A9R4 CPU, 1GB / 2GB DDR3 and 8GB Flash. The LeMaker Guitar is designed to ensure the user flexibility and saves the user when upgrading the CPU and the memory, time. Therefore, the team LeMaker the Guitar has designed the it consists of a core board and a motherboard. Thus, each user individually for their needs, choose their own core board, and as a snap in memory. Easier than ever! The Guitar is meant for versatile applications. Among other things, it is suitable as Herrvorragend Hifidelity players in the audio field. Unlike traditional fruits, the audio signal is decoupled from the rest of the Board and we transmitted via I2S and thus makes a DAC superfluous. ATC2603C is an integrated power management and audio subsystem that provides a cost-effective single-chip solution for portable multimedia systems. 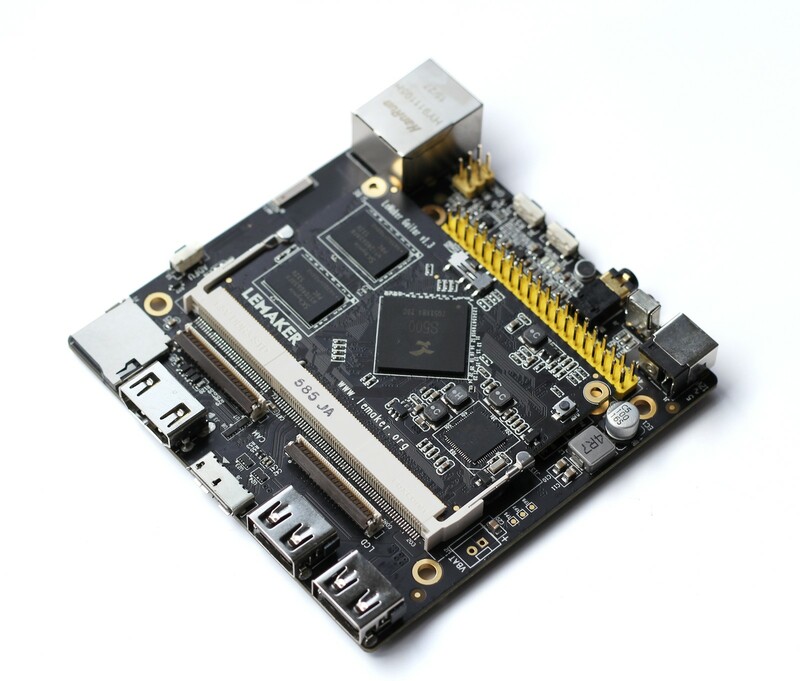 LeMaker Guitar is also the first SBC, supports Android 5.0. Tons of apps that meet the different types of requirements.